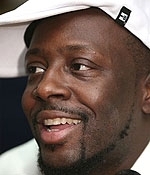 JANUARY 15--Musician Wyclef Jean's charitable foundation--now the recipient of many donations big and small in the wake of the Haiti earthquake--has repeatedly had its corporate status dissolved for failing to file required state disclosure reports, records show. As seen here, the Florida Division of Corporations has, on four separate occasions over the past five years, sanctioned the Yele Haiti Foundation (the charity was incorporated in Florida in 1998 as the Wyclef Jean Foundation, but formally changed its name two months ago). The longest involuntarily dissolution lasted 26 months, ending in November 2008 when Jean's organization provided Florida officials with overdue annual reports disclosing the identities of the group's officers and directors, its registered agent, and office address. The foundation's most recent dissolution occurred in September 2009, but was vacated a month later when the 37-year-old Jean's group filed its disclosure report. As TSG reported yesterday, the Jean foundation's records delinquency extended to the filing of its tax returns--and could make a prospective donor question whether the organizationally challenged foundation is a wise choice for disaster relief contributions.